Country mouse or city slicker? I’ve spent a lot of the last few weeks on the road. Well, that’s not strictly true: up in the air would be more accurate, since I’ve mainly been traveling by plane. Come to think of it, it almost feels like I’ve seen more of the airports than the actual destinations. 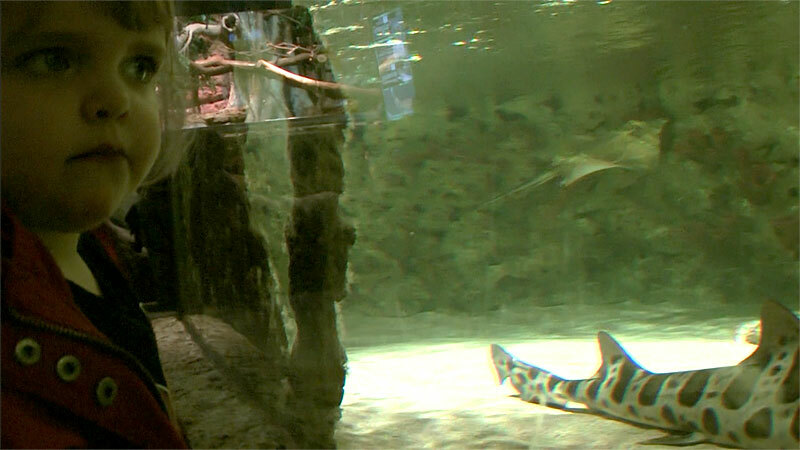 Little Girl studying stingrays and leopard sharks at Skansenakvariet, Stockholm. But either way, I’ve been visiting both Helsinki and Stockholm repeatedly lately, giving me the opportunity to enjoy some of the cultivated pleasures of city-life: cappuccinos in big paper mugs, delicious Indian food and gigantic tanks full of stingrays. There are certainly some perks with being in a big city, something I perhaps notice more now as I live in the countryside on Åland. The view from my dorm room window – lovingly called the eagle’s nest*. As I’ve mentioned before, I grew up in Stockholm. Or rather in a suburb of Stockholm. I enjoyed it, what with the tarmacked bicycle paths, street lights and playgrounds. Me and my friends played in the yards between the concrete apartment buildings and we could go wherever we wanted on our bikes: school, the beach, grocery store. 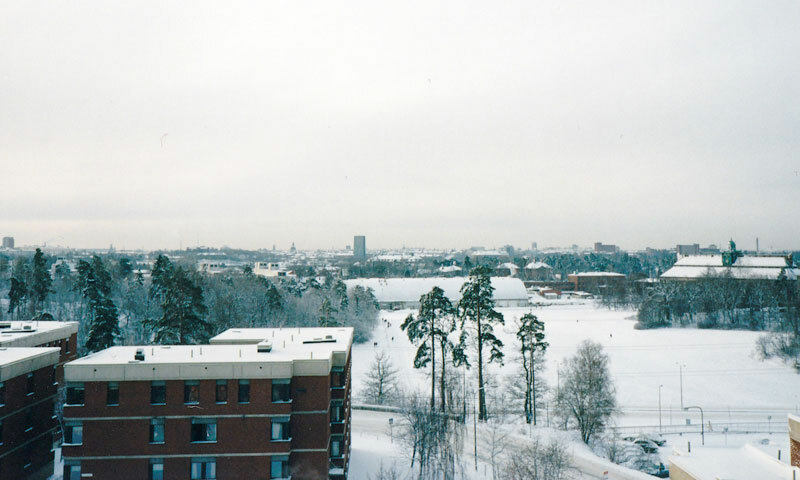 Years later, when moving back to Stockholm in my 20s, I still enjoyed it. I studied evolutionary biology at Stockholm University, located in perhaps the most beautiful part of Stockholm: Norra Djurgården. 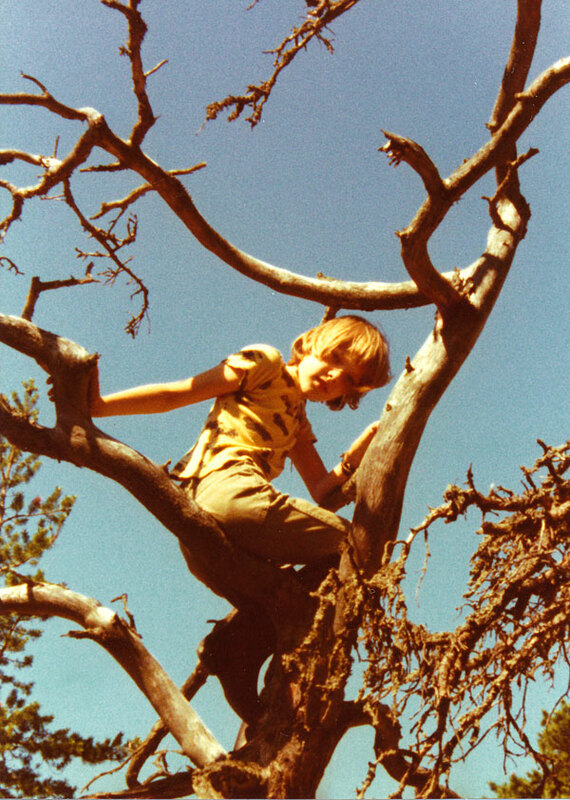 And after finishing my studies, I started working as an entomologist at the Swedish Museum of Natural History. Those were good times. It was also the time when me and Fiancée (then Girlfriend) met and got together. 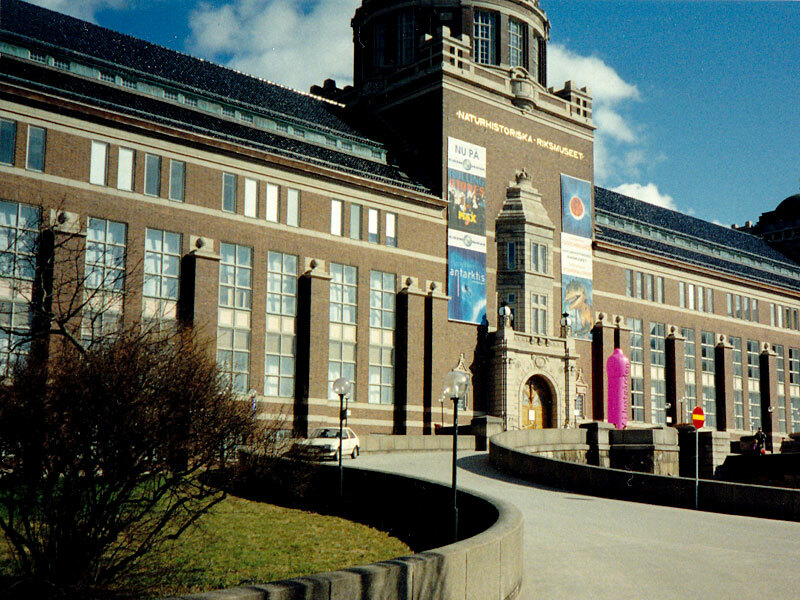 The Swedish Museum of Natural History – my old workplace. I was on the top floor, to the right of the entrance. And yes, that’s a giant pink condom in front of the building. Don’t ask. But life in the city as a student (or research assistant) was not always fun. Lack of money and uncertain living prospects were like dark clouds at the horizon. And research funding wasn’t going all that great either. To appreciate city-life you definitely need to have some money. We moved away for a while and I worked as a science teacher, but returned a second time for another couple of years when I studied multimedia and web design before moving on again. 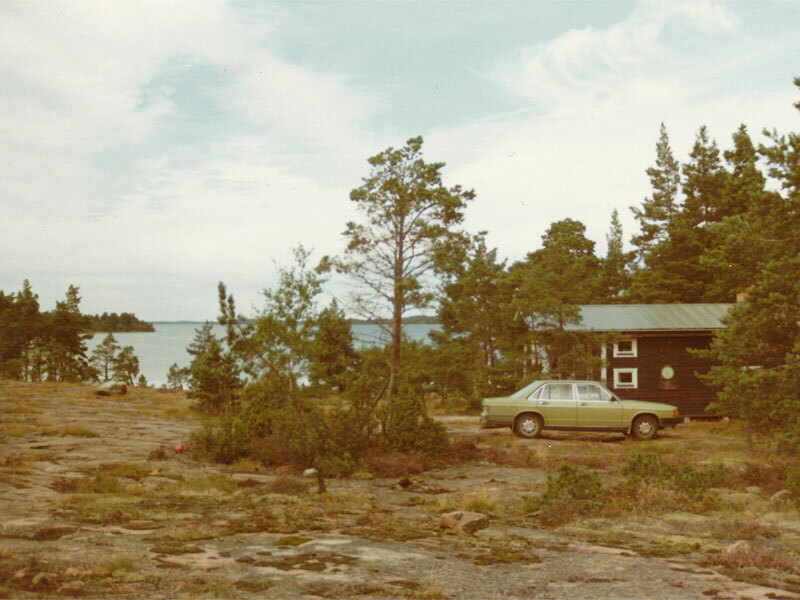 Our summer cottage – it looks more or less the same today, 40 years later. During my childhood we travelled yearly to Åland to spend the summer holidays in the countryside in our summer home. That might sound fancy, but I can assure you it was anything but. We didn’t have any running water, electricity, showers or indoor bathrooms. Everything was back to basics: when it got dark, we lit candles. If it got cold, we made a fire in the fireplace. We fished redfin perch that we smoked in our homemade wood-burning smoker that doubled as the laundry cooker. Rainwater was collected to add to the small rations of freshwater we’d brought with us. Me, doing some vertical exploring with the aid of a dead tree. I really enjoyed the reclusiveness of our country visits for its simple back-to-nature qualities. I played by the water or in the forest that surrounded the cottage. I explored nature and discovered frogs, salamanders, snakes, bats and many fascinating insects. It could be days or even weeks between us seeing another living soul. It was a great experience and it no doubt helped me develop my fantasy and ability to entertain myself in my mind. I wouldn’t call myself a nature romantic, but growing up in such a close proximity to nature has really affected me, and to this day the smell of sun-warmed moss and salty seawater still bring back memories from my childhood wherever I am. So. Which is better? City or countryside? On what side of this dualistic exercise do I find myself? Having recently moved back to the Åland countryside, I might be considered biased, but the truth is that I really enjoy living here. We’ve got nature on our doorstep, decent access to shops and stores and – thanks to the marvels of technology – I’m still connected to all my people across the globe. And if we really want or need to go away, Stockholm is just a boat ride and car trip away. I really love Stockholm. It’s a beautiful city with a great atmosphere. In a way it reminds me of Manchester, with its mix of history and modern architecture. But I don’t want to live there. It’s great visiting from time to time (if nothing else to fuel up on cappuccinos), but the high tempo gets old after a few days and starts to wear me down. And the traffic is a nightmare. By contrast, life in the countryside is less stressful even though it’s also less exciting. And there’s a distinct lack of coffee places and Indian restaurants. But in the end it comes down to this: there are a lot of pillocks in this world**. Living in the countryside you won’t be able to avoid them, but – by means of pure mathematics – there will be fewer of them around. And that, to me, is as good a reason as any. I’m staying here. Bomarsund fortress ruins, Åland. Sheep, white. * With no conscious references to Kehlsteinhaus, the Nazi WWII retreat at the German border to Austria. ** Present company excluded. Obviously. You blogged today! You sneaky-blogged! You didn’t even tell me! I’m the same. Grew up in the country; moved to the city. Only I’d never move back to the country. I go back once a year for a week (and for various little holidays to visit family) but my heart’s here in the city. I love the bustle and the things to do and there’s just this electric kind of hum, being in a city. If I had the money, I’d move to New York City in a heartbeat. I do live in the suburbs, so I get my quiet when I come home…but the city’s never more than 15-20 minutes away. I understand the love of the country, and I never put anyone down who loves it, or who lives there. It’s beautiful, it’s quiet. But I think some of us just thrive in a city environment, and I’m one of them. Maybe that’ll change when I get older, but I don’t think so. I think my 17 years spent in a small town are enough for me. I sort of did, yes. Sorry. As I said, I really enjoy visiting big cities (although Stockholm and Helsinki can be argued not to be all that big), and my stays in London and New York have been memorable. And I guess, if I was filthy rich, I could possible conjure up a living situation that would be ok long-term. But I’m not (I don’t even have my own helicopter, which would be the bare minimum for that kind of living) so I won’t. Don’t apologize! Seeing that you’ve blogged is always one of my favorite surprises! I would only live somewhere like NYC if I had enough money to do it right. I’d want to eat fancy food, go to shows and concerts, shop – and it wouldn’t be fun to live there on a tight budget. I mean, it would be ok, but not FUN. I can live here and travel there periodically for what I make now, and that’s ok. Wait, you don’t even own your own helicopter? I can’t believe I’m friends with someone without a helicopter. Good day, sir. I SAID GOOD DAY. I know. Isn’t it just so embarrassing? I have had my eyes on one of those Russian mi-24 gunships they sell off at such reasonable prices in Ukraine nowadays, but I’ve just not gotten around to do anything about it. I’m such a procrastinator. Ooh, a gunship would be cool. Or even better, get an aircraft carrier, then when you get your helicopter, you could land and launch it right from your boat! True. But those carriers are huge targets. Plus, I’d have to go nuclear just to power the beast. And the cost of uranium pellets is just getting ridiculous. Seeing as I’ve never actually lived in either the city nor the country (the suburbs all the way) I really couldn’t claim to be one or the other. BUT having moved from the suburbs of a big city to the suburbs of a small city I can see where there is much more to do in the larger of the two. The larger the city, the better. As a general rule. But that’s mainly dependent on ease of transport. Subway is good. Maglev is cooler. Ah, the pictures of our cottage look the same every year, only the car in front of it differs. Yes, that’s true. That cottage is the essence of persistence. I haven’t gotten past the first paragraph, and now I want Indian food. And a cappuccino. How do you expect us to finish reading your blog post if we are all running out for coffee and Indian food? You should think these posts through a little better. I’m most sorry, and I will try to do that in the future. But on the other hand, you get to eat Indian food and drink cappuccino. Which is a plus in my book. This is very thought provoking. If you could live anywhere… where would that be? No offense, but I’m narrowing my list down to places with electricity and running water, for a start. It’s not always all that peaceful, mind. But I enjoy it. At least as long as I can go on regular trips to a big city.